Great writing grows out of the specific content of a writer’s life. I believe the same could be said of leadership. The writer’s instincts are guided, in the best of writing, by the axiom that the more particular the story, the more universal the message. This is tricky business, to be sure, risky because the probing of individual content can slip easily into self-serving, and that cannot be the goal of writing or leadership. Knowing the difference—between genuine, authentic personal content, and self-absorbed, self-focused content—is, well, the art of writing, and the art of leadership. David Brooks makes this point so beautifully in “The Power Of The Particular,”one of his recent columns in The New York Times (June 25, 2012). 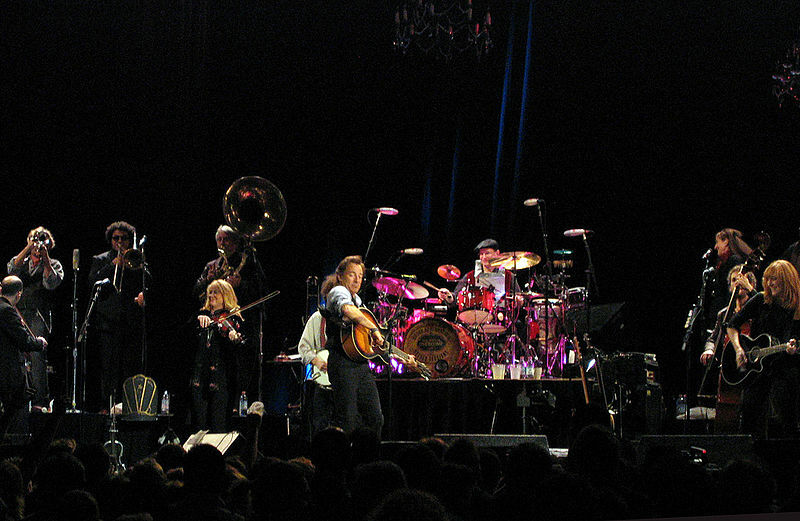 He tells the story of going with a group of friends, throwing “financial sanity to the winds,” to follow Bruce Springsteen on a recent concert tour through Spain and France. The reason? : This paradox that the deeper one digs into the genuinely personal, the more universal the message becomes. “It’s a paradox,” Brooks says, “that the artists who have the widest global purchase are also the ones who have created the most local and distinctive story landscapes.” This is the paradox that every writer, preacher, leader, and musician must discover. Seeing Springsteen perform in Europe “makes you appreciate the tremendous power of particularity. If your identity is formed by hard boundaries, if you come from a specific place, if you embody a distinct musical tradition, if your concerns are expressed through a specific paracosm, you are going to have more depth and definition than you are if you grew up in the far-flung networks of pluralism and eclecticism, surfing from one spot to the next, sampling one style then the next, your identity formed by soft boundaries, or none at all.” This makes all the sense in the world to me. “Go deeper into your own tradition,” says Brooks, and that’s the final clarifying note I want to sound. Just to go deeply into the personal is not enough for me. We must anchor our understanding of meaning and purpose, our own deeply personal story, in a story that is bigger than anyone of us alone. For me that is the rich Christian story. If we can combine, the authentically personal, with the sweeping story of what is true and good and beautiful for all time, well, we just may communicate something worthwhile, we may just have a chance to lead effectively.